The optek DT9011 is a precise, laboratory-quality turbidimeter. 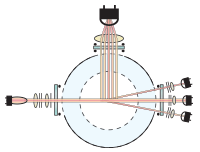 The DT9011 features an advanced, triple beam scattered light optical design, measuring forward scatter (11°), side scatter (90°), and direct (0°) light. 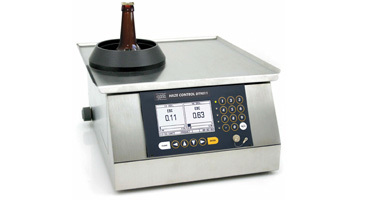 The DT9011 effectively measures a broad range of constituents that contribute to turbidity and fine haze in consumer products such as beer. The powerful, easy to use DT9011 software allows the storage of data for up to 32 different products. This data includes product parameters, measuring ranges, bottle types and more. The integrated data logger records all measurements and parameters. The data logger can store up to 25,000 data sets. The data tables can be displayed directly on the DT9011 or transferred to a PC using the optional PC-Transfer Software. The sample is submerged in a water bath and sampled 250 times in one rotation resulting in advanced data analysis. Using this method, the effects of bottle color and shape, as well as scratches, seams and other imperfections will have no influence on the measurement. The circulating water bath and a drift-free, factory zero point ensure sensitivity and repeatable measurements.